Festival lovers recognize Sweden for its festival music, but they don't know that, while this country makes them dance, Swedes themselves are not allowed to "dance spontaneously". 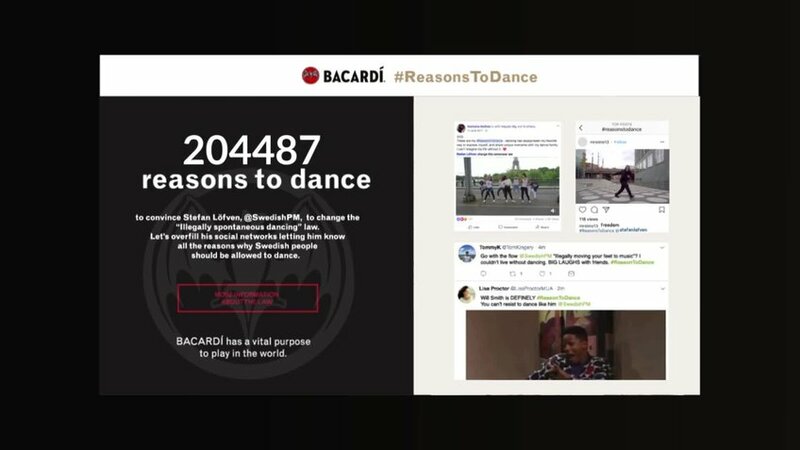 Bacardí will lead an initiative to promote the abolition of this senseless law and defend the freedom of expression through dancing, by asking people around the world what are their reasons to dance. A campaign that promotes the Bacardí spirit and seeks social impact.